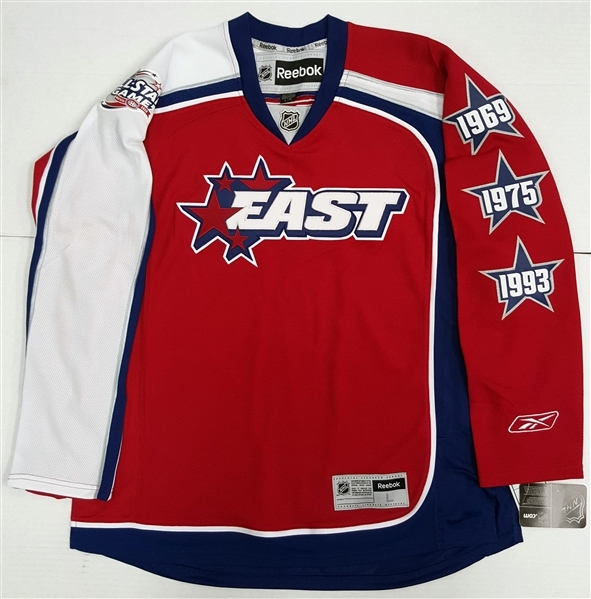 This Reebok replica NHL All-Star jersey is from the 2009 NHL All-Star game that was hosted in Montreal, Canada at the Bell Centre. 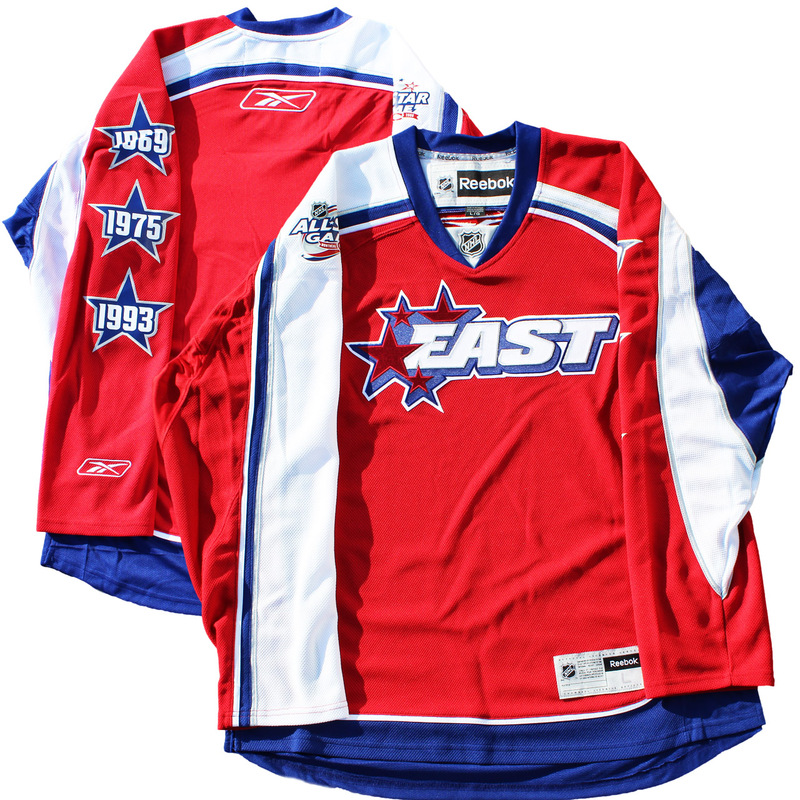 This jersey features a red, white and blue colour scheme with the "EAST" logo on the front, representing the Eastern Conference. On the left side of the arm it features the three previous years the Montreal Canadiens hosted the All-Star Games, and on the top of the right shoulder it features the patch from the 2009 NHL All-Star weekend in Montreal. This jersey would have been worn by Frameworth exclusives Carey Price, Evegeni Malkin and NHL stars Alex Ovechkin, Martin St. Louis, Zdeno Chara and Henrik Lundqvist. This jersey is a rich piece of history that has been worn by NHL All-Stars. 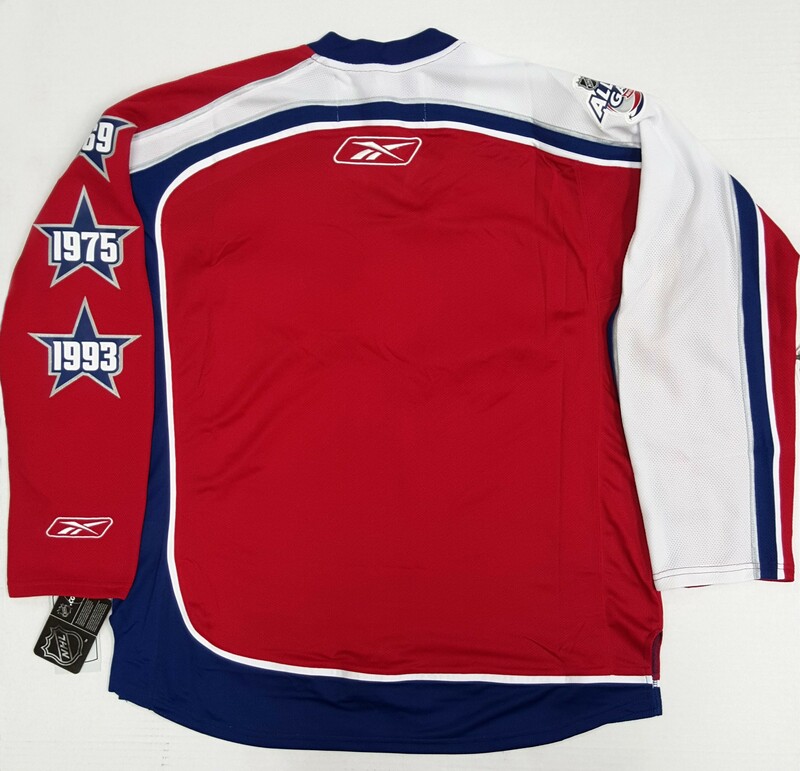 We do not guarantee any specific jersey sizes but we typically carry sizes L, XL or 52, 54 & 56 for jerseys. These sizes are considered the most ideal for framing & displaying.